Put on that Sunday morning smile, to last the whole day ’round. Tout chauds, Madame, tout chauds! You smile the livelong day. 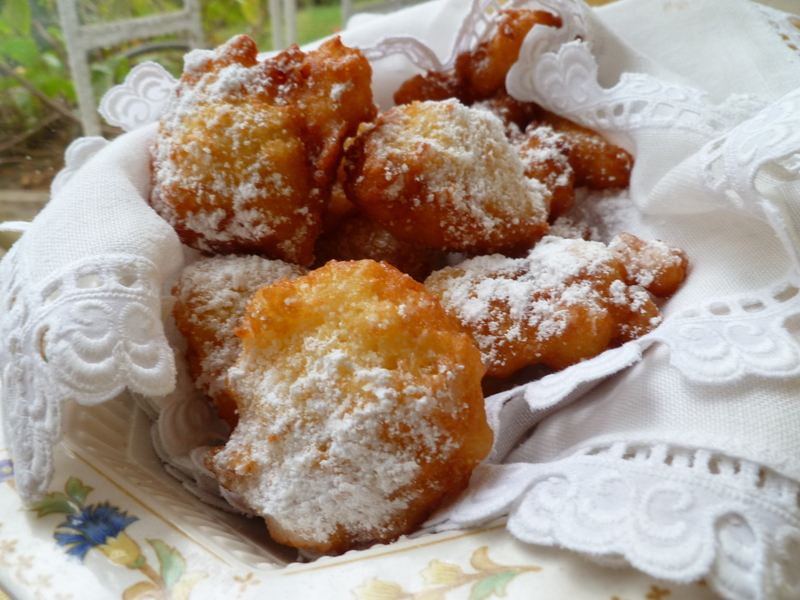 Miss Eustis lived over a century ago, and Calas are no longer sold by a vendor who walked the streets of New Orleans balancing on her head a wooden bowl filled with rice fritters and crying out, “Belles Calas tout chauds!” (Beautiful, hot Calas!) However, although this scene can’t be recreated, the Calas of Miss Eustis’s day may be, using as a guide the recipe from her cookbook. If you have tried modern recipes for Calas, you will find a remarkable dissimilarity between most of them and the original ones of days gone by. Today’s versions load the little fritter down with sugar, add baking powder, and produce a hefty, un-calas-like sweet lump of dough. 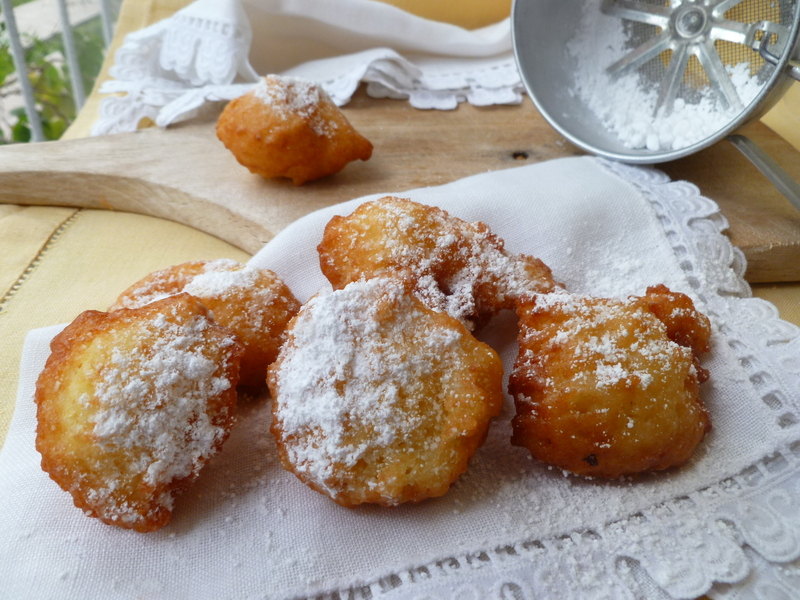 True Calas are as light as their name sounds, are made with rice flour, not wheat, contain only a trace of sugar and no baking powder at all. (Although, Miss Eustis allows that one may use ‘ordinary’ flour if rice is not to be found.) Made as they were originally intended, Calas certainly are ‘belles’. Note about timing: Calas are made with cooked rice (leftover is fine) that is mixed with yeast and water to make a sponge which sits overnight either in the refrigerator or at room temperature. Leaving the sponge at room temperature will give the Calas a slightly fermented taste, something like sourdough. The dk has made Calas both ways and prefers the unfermented one…but this is a matter of personal preference and Calas ‘with a touch of the sourdough’ might, in time, easily grow on a body. 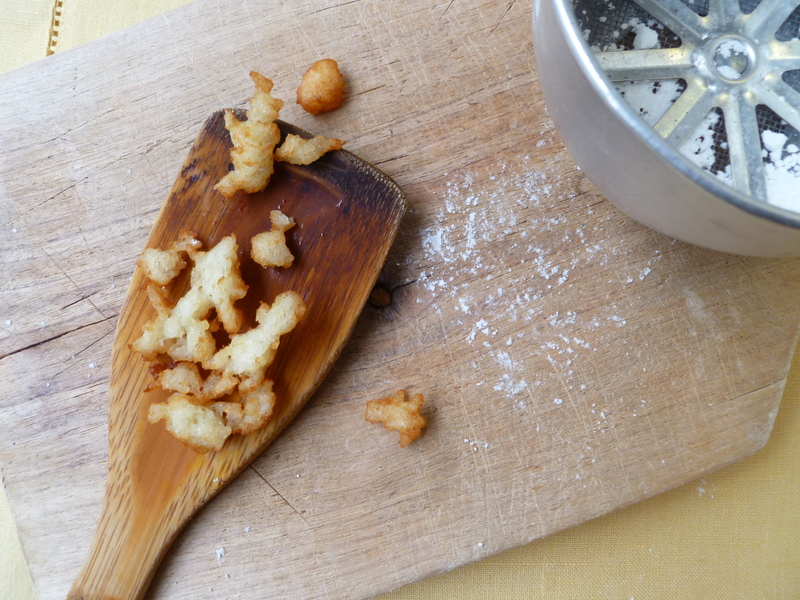 Oil for deep frying the Calas: The amount of oil depends on the size of the pot used for making the Calas. 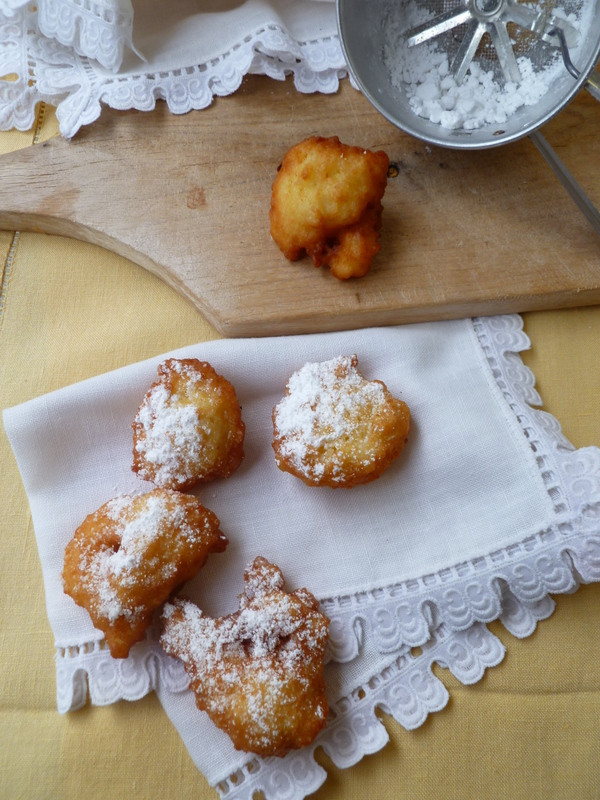 It should reach a depth of at least 2-inches in the pot so that the Calas float freely in the oil as they fry. 1. Place the yeast and 1/8 teaspoon of sugar in a small bowl, add the warm water and stir to dissolve the yeast and proof it (i.e. make sure that the yeast becomes active….tiny bubbles will begin to rise to the surface, indicating that the yeast isn’t dead). 2. Add the rice and mix it well with the yeast and water. Cover the bowl with plastic wrap and put it in the refrigerator overnight…or leave it at room temperature to give the batter a slightly sourish, fermented taste. 3. In the morning, pour the sponge into a larger bowl. 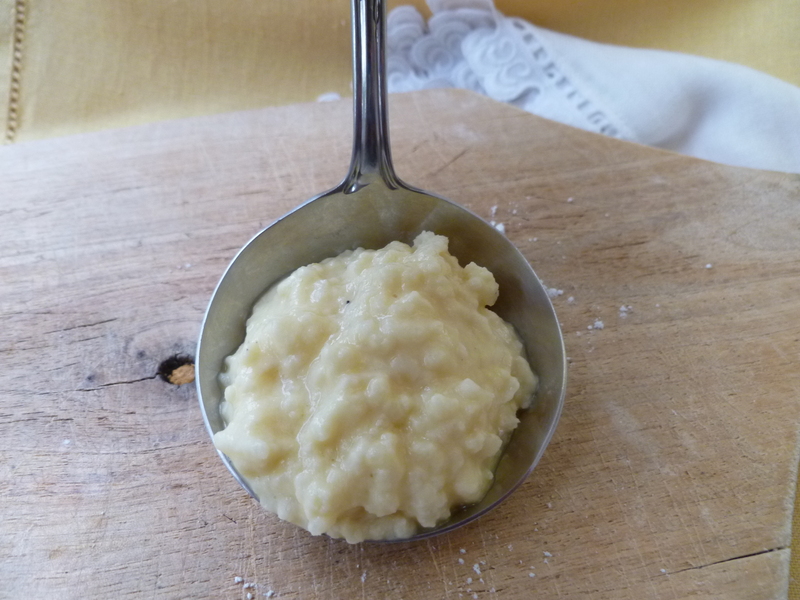 Add the 2 Tablespoons of sugar, the eggs, 1 cup of rice flour, and the salt. There are a couple of ways to judge the consistency of the batter: A good batter will jiggle in the bowl, and, at the same time, hold together. A ladleful of it also will hold together…. 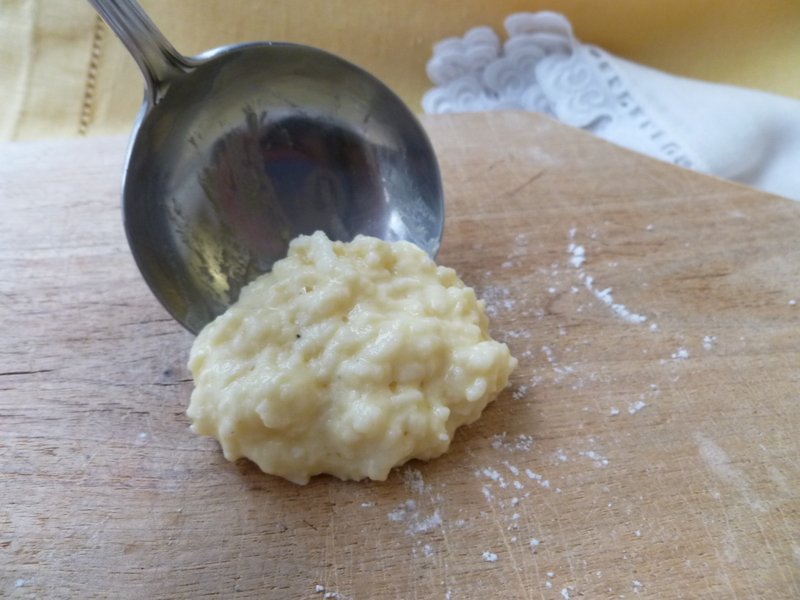 …Thicken a thin batter with a little more rice flour. 6. Fry on one side until you begin to see a golden color rising up the edges of the fritter. (This occurs in about 2 minutes.) Turn the fritter with two forks. Continue frying until the second side turns a light shade of gold…in about another 2 minutes. Try to keep the oil hovering at a temperature of around 350 F.
7. Transfer the fritters to a cooling rack placed over a rimmed baking sheet. As you continue to make fritters, the batter will thin. 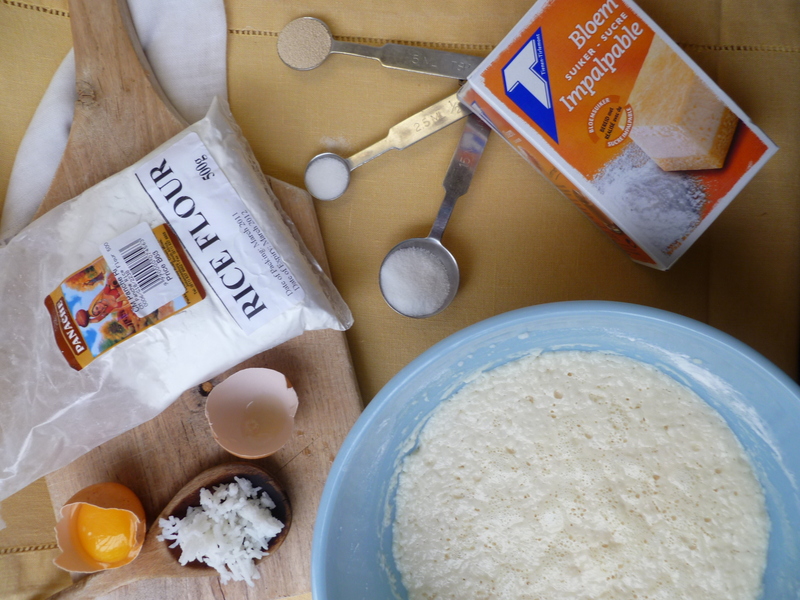 Occasionally add a little more rice flour to keep the batter cohesive and ‘jiggly-in-the-bowl‘. 8. 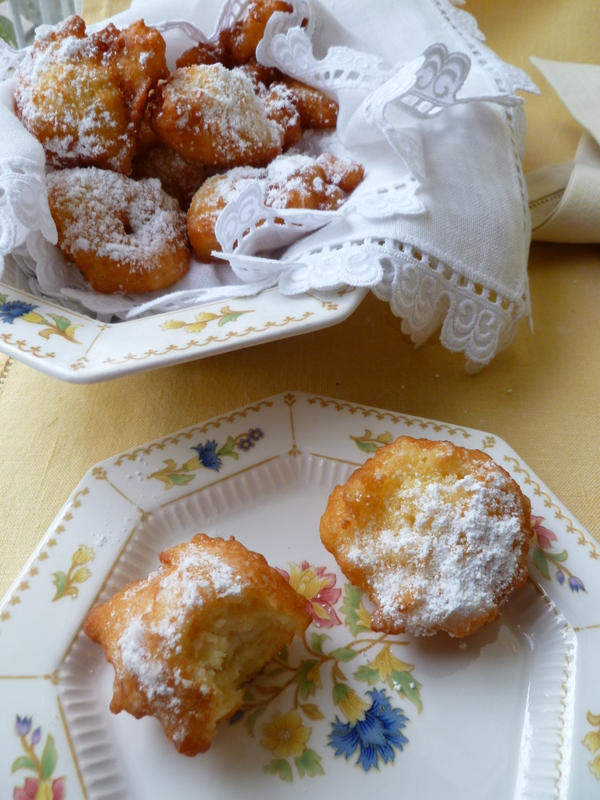 When all the batter is used up and all the fritters made, sieve powdered sugar over the Calas and serve them hot. Note: Calas are served for breakfast on the Occasional Menu: Mixing Breakfast and Business. A Second Note: ‘The Cry of a Calas Seller’ comes from Gumbo Ya-Ya: A Collection of Louisiana Folk Tales (first published in 1945), compiled by Lyle Saxon, Edward Dreyer and Robert Tallant. The full text of this entertaining work may be read here online courtesy of the Louisiana Writers’ Project on openlibrary.org. The dk has written about Miss Eustis’s cookbook in a previous dk post. The full text of Cooking in Old Creole Days is available free online here through ‘Feeding America: The Historic American Cookbook Project. A Final Note: The dk knows of only one other contemporary source offering an authentic form of Calas– the Cajun and Creole cooking site Nolacuisine.com. Nolacuisine perfers the sour-ish fermented Calas variation.